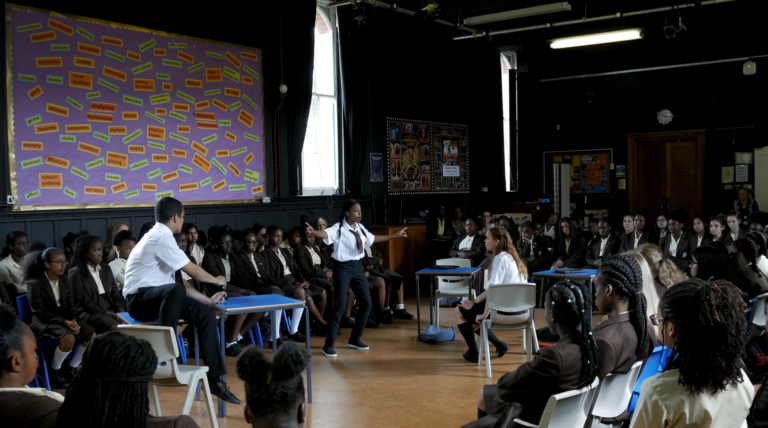 Our research team is looking to improve asthma control and peer support for asthma in London secondary school students through a series of educational workshops and a theatre performance. We hope that our research will improve quality of life for young people living with asthma, and their families, through better control of their symptoms, and fewer visits to their doctor or hospital. We also hope that this programme will raise awareness of asthma among peers in schools. We run the programme with students from year groups 7 and 8. To address peer awareness, we deliver an interactive theatre performance, lasting approximately two hours, to the entire year groups, to help raise awareness of asthma among peers. The theatre has been developed by our partners at GLYPT (Greenwich and Lewisham Young People’s Theatre). You people with asthma in year groups 7 and 8 will then take part in a day of workshops about asthma in which they learn how to manage their condition well. The workshops will be fun and interactive, they include topics on symptoms, triggers, medication, how to make the most of a GP consultation, and what to do in an asthma emergency. Asthma affects approximately one in eleven children and young people in the UK; and young people with asthma have higher rates of school absences and visits to their doctor or the hospital. Improving the symptoms of asthma through an improvement in asthma control can reduce some of these negative impacts. 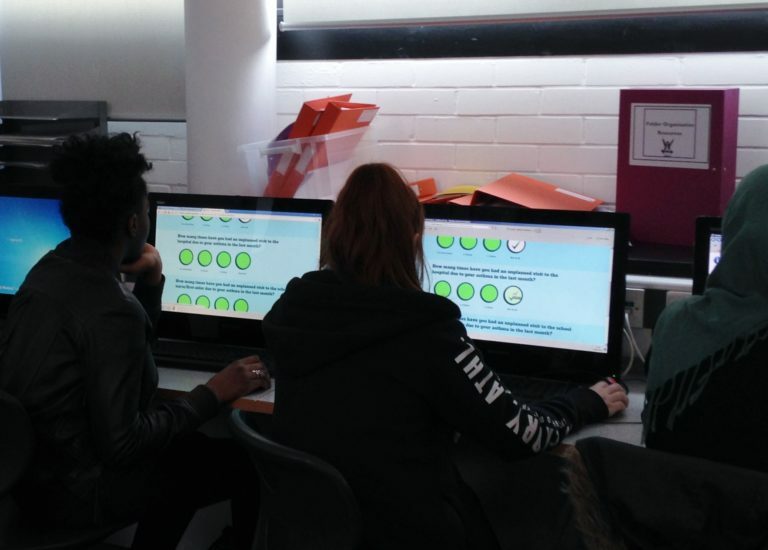 We have previously visited secondary schools in London to collect some questionnaire data on asthma control and medication adherence among teenagers, and we now know that asthma control and adherence to medication among secondary school students in London is generally low and could be improved. We also know from our earlier research that peer awareness is an important barrier to adherence for children with asthma, due to embarrassment or fears of being bullied. What have we done so far and what comes next? 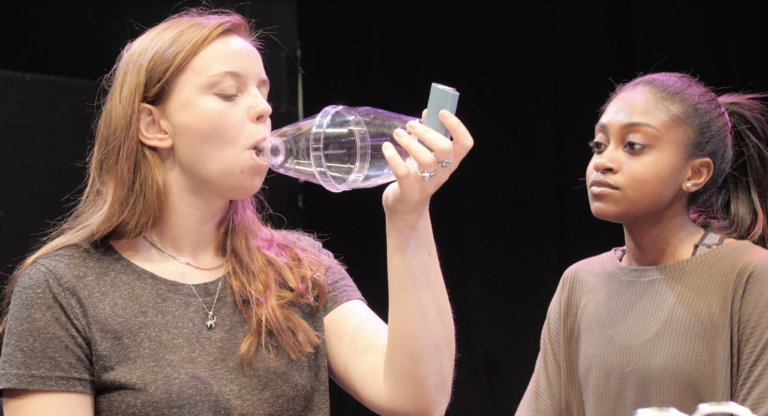 We have developed and tested a range of self-management workshops, as well as a theatre performance to address asthma in a school-based intervention. All elements were developed with learning experts, tested with young people, and reviewed by asthma clinicians and a health psychologist. Initial results have shown that all elements of the intervention were very well received by students and teachers, and that the self-management workshops improved knowledge about asthma in all areas we addressed. We are planning to run a randomised control trial in 2018 and 2019 in which we evaluate the effect of our intervention regarding asthma control, and attitudes towards asthma. We will include a minimum of 21 schools in London in the planned trial, each of which will receive all elements of the intervention for their year groups 7 and 8. If the trial can show that the intervention is effective in improving asthma control, we will apply for funding to implement the intervention across the UK.